A Delaware man was indicted Thursday by a Delaware County Grand Jury and charged with aggravated murder after prosecutors alleged he shot and killed a Hilliard man on Jan. 25. Bryan Stanton Pemberton, 33, of 994 Stratford Road, Delaware, was charged with aggravated murder, a first-degree felony, with a gun specification. During Pemberton’s arraignment on Jan. 26 in Delaware Municipal Court, Delaware Municipal Judge Marianne Hemmeter informed Pemberton that he could face 15 years to life in prison, if convicted, as well as up to three years in prison for the gun specification. An arraignment in Delaware County Common Pleas Court has not yet been scheduled for Pemberton, but Delaware County Common Pleas Judge Everett H. Krueger will preside over the case. Pemberton remained in custody Thursday in the Delaware County Jail. During the arraignment in municipal court, Assistant Delaware County Prosecutor Mark Sleeper detailed the events of the case for Hemmeter, stating that on the evening of Jan. 25, Ali Al Azirjawi, 28, of Hilliard, went with his fiance to pick up a child that his fiance and Pemberton shared. Sleeper said after they arrived at Pemberton’s home on Stratford Road, they called him to let him know they were there, but no one answered. 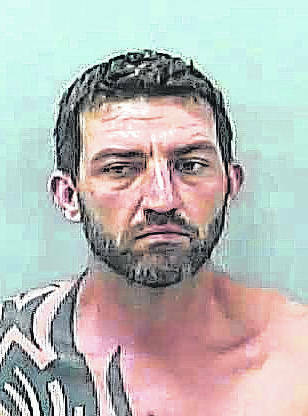 Sleeper said Pemberton then exited the house with a shotgun and approached the vehicle. He said Pemberton shot at Azirjawi twice as he was exiting vehicle, striking him in the head and chest with one of the shots. The fiance and Azirjawi’s one-year-old child were also in the vehicle, but were not harmed in the shooting, Sleeper said. Azirjawi was pronounced dead at the scene when police arrived shortly before 7 p.m. on Jan. 25. Sleeper said investigators were not aware of any prior conflict between Azirjawi and Pemberton. Sleeper said employees from a nearby business heard the shots and called police before running over to investigate. He said Pemberton made comments to them and the police that he was the shooter. Police took Pemberton into custody and transported him to Grady Memorial Hospital for a mental health evaluation.